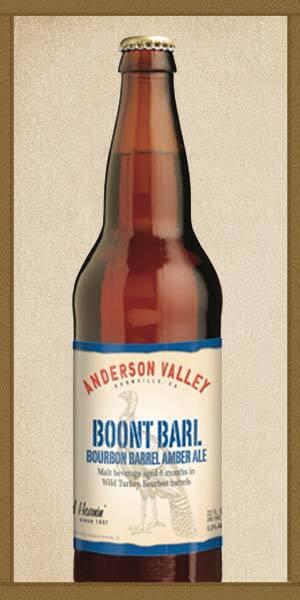 What began with our flagship Boont Amber Ale and a passion for experimentation has become a unique addition to our Anderson Valley Wild Turkey Barl Series. The six month aging process in third-use Wild Turkey Bourbon barrels imparts flavors of coconut and vanilla and subtle bourbon aromas that are enhanced by a noticeable oak character in the finish. A great accompaniment to fine meals or to be enjoyed on its own, Boont Barl is a truly sessionable barrel-aged beer with finesse.